ATLANTA — Channel 2 Action News has learned former NBA star Shaquille O’Neal is under investigation by the Atlanta Police Department for an alleged assault. Channel 2’s Ryan Young obtained a police report detailing the incident, but so far, O’Neal has not been charged with anything. 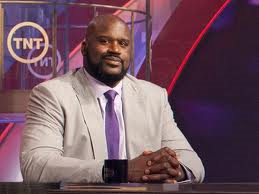 Shaquille O’Neal is known for being a bigger-than-life figure who fans adore. He even claims to have a big love for law enforcement. But now Young has learned the one-time NBA superstar and basketball commentator for TNT finds himself under investigation for what a co-worker claims happened at Turner Studios. “(The co-worker) alleged Shaquille O’Neal tackled him to the ground causing injury to his back while they were at work at Turner Studios,” said Sgt. Greg Lyon with the Atlanta Police Department. The incident took place on May 19 at the studios located at Techwood Drive and 10th Street. Robert Williams went to the Atlanta Police Department and said that Shaq tackle-punched him, knocking him down and falling on top of him. Sources told Young that Williams suffered serious injuries. “I don’t know the extent of his injury, but I have heard that as well, that his injuries were severe to his back,” Lyon said. No one ever called police that night. O'Neal has not been charged. But the police department is still doing an investigation.